Star TSP100: TSP113 - Thermal, Tear bar, USB interface. Includes USB and Power cables. Color: Gray. 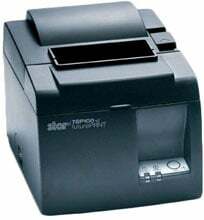 The Star TSP113U-GRY is also known as Star Micronics	TSP113U-GRY	or TSP113UGRY	.